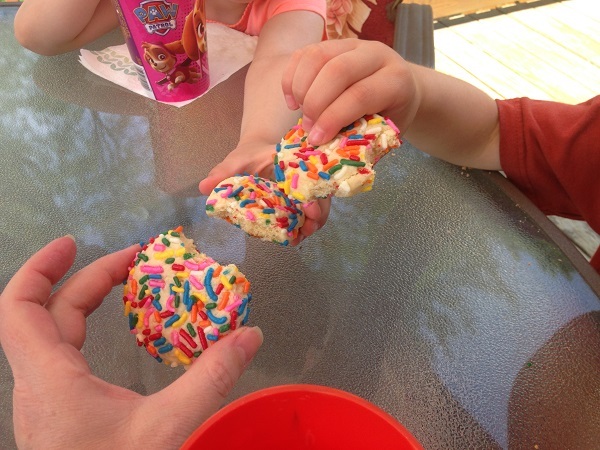 My most favorite sugar cookie recipe to date I discovered back in the spring through Smitten Kitchen and her Confetti Cookies. Oh. My. Gosh. So tender and just wonderful. And the sprinkles are fun. And make little packages to give to the new owners of The Spinning Room! The sprinkled ones got taste-tested. The others will become something else I’ll show you another time. I highly recommend this recipe. 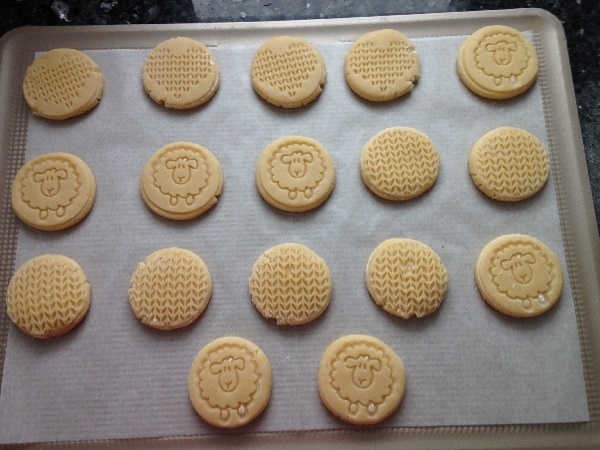 In fact, (heads up if you are local and like a free treat) I may or may not be making more sheep/knitting cookies to share at The Spinning Room. 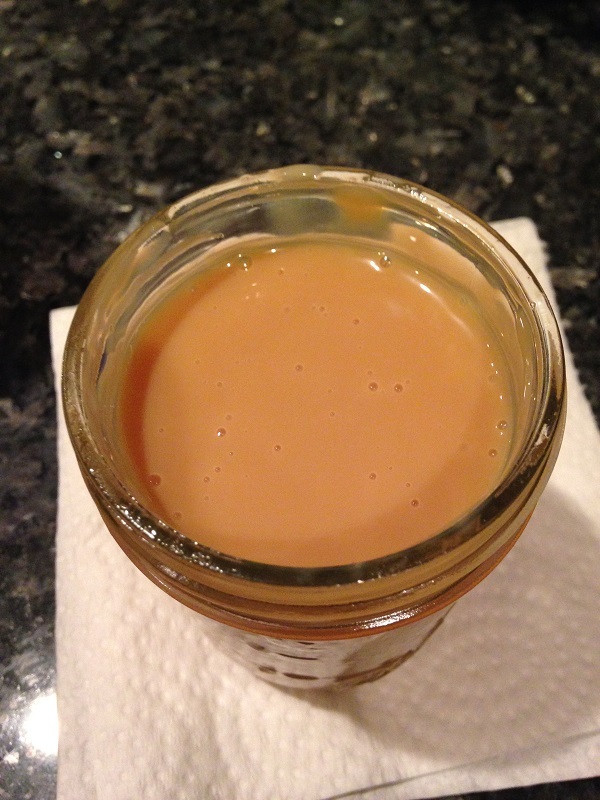 In experimental news, I made a wonderful caramel sauce that my friend Chrissy told me about. 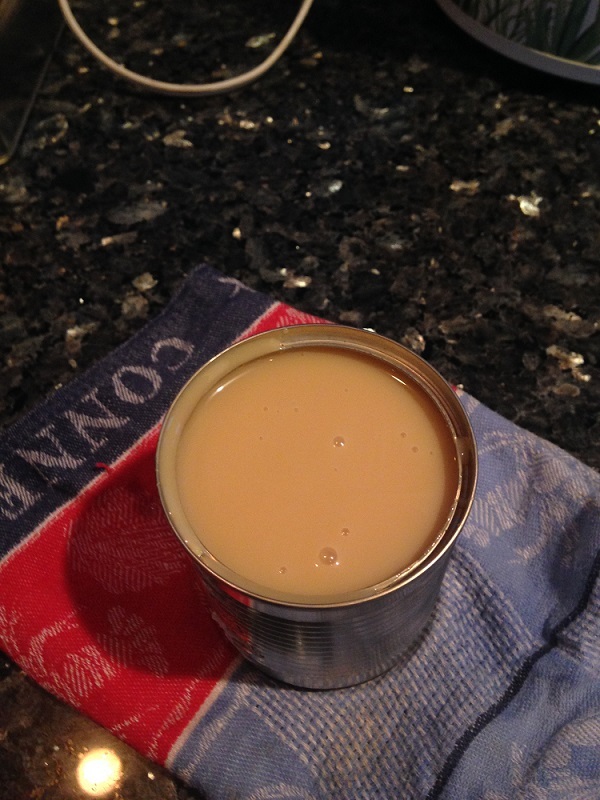 A can of sweetened condensed milk, immersed in water, heated in the crock pot for hours and hours. It didn’t look quite dark enough so I decided, after Googling for a little more information, to try again. 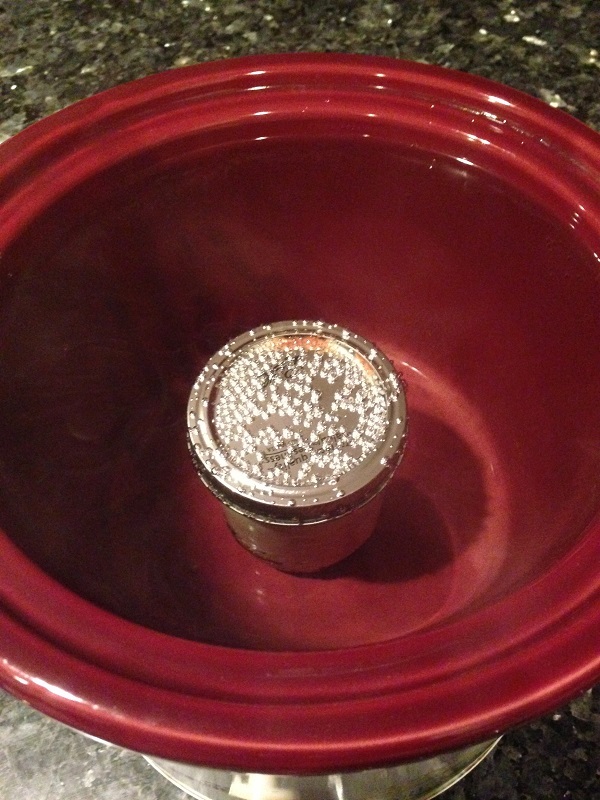 This time I put it in a canning jar so I could see how dark it was getting and left it in for 10 hours…. Ok, looks the same but the second one definitely tasted more caramel-y! Found that info here. We are looking forward to trying it on something! 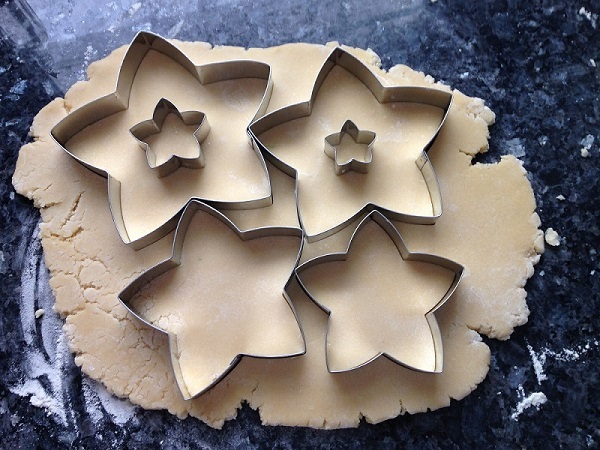 Posted in Uncategorized and tagged christmas baking, confetti cookies, crock pot caramel sauce on December 20, 2016 by lizytish. Those cookies are so cute! Great tips about recipes and methods. Merry Christmas, Liz! Yummy Cookies? (They sure look good!!). Lucky owners of the Spinning Room. Hint, hint: I’m taking Two classes on Jan. 28, one with you. Sure would be nice to have treat in between! Thanks for the cookie tips. Sorry to hear you are on another knitting hiatus! Love the snowy touch! Merry Christmas, Liz! 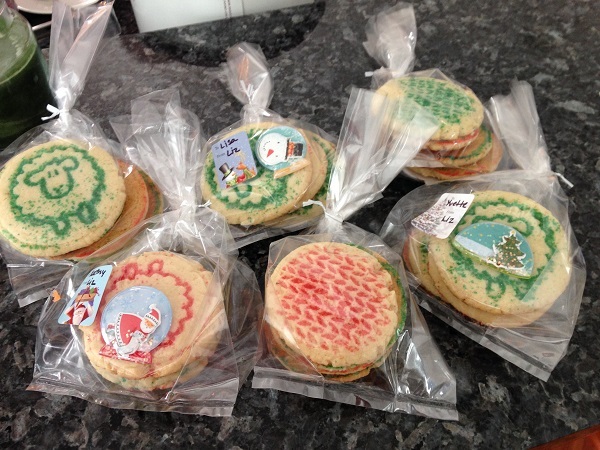 Love the sheep stamp cookies… lovely gifts for the ladies at the Spinning Room. Caramel looks yummy! 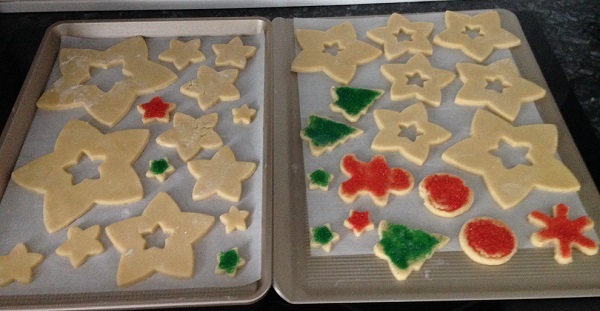 The cookies look wonderful. Liz, you are simply amazing.